This i s part of my series on how to avoid time-consuming “short cuts” and use Word in the right way to maximise your time and improve the look of your documents. Sometimes you really want to change a sentence from, maybe, all lower case to All Title Case, or ALL CAPITALS to all lower case, or some other variant. And you know how to do it, right: delete the sentence and retype it, or delete the first letter of each word and retype it, or turn on overtype then forget to turn it back to insert when you’ve finished … well, there is a way to just do it with a couple of keystrokes! How do I change all small letters to all capitals or all capitals to all lower case letters? This is such a simple one. Highlight your sentence (1). With the sentence still highlighted, press shift and F3 at the same time. Magic! With each press of shift-F3 it will cycle through Title Case (2), UPPER CASE (3) and then back to lower case (4). This is so useful if you’re grappling with a bibliography you’ve written or you’re editing (especially when the capitalisation in article or book titles is not consistent), or if you accidentally type something all in capitals. All these years of using Word & I didn’t know this trick – thanks Liz. I don’t suppose you know a shortcut for transposing two characters….my typing fingers get ahead of my brain & I often find I’ve got the right characters in the wrong order! It’s a good one, isn’t it! I use it all the time! Thanks for your question. Unfortunately, I don’t think that’s possible, as outside of Word / Excel etc., the Ctrl key initiates other shortcuts or commands than this text-based one. If anyone knows better, I hope they’ll chime in, but a quick search only revealed how to do this in specific coding situations. If you are on a mac you could pass via an app like this one: http://www.daniele.catalanotto.ch/lowly. Made it myself because I hade the same issue. Does not work with my Mac Word 2012 with Mavericks. 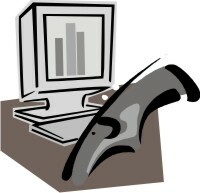 I’m dying to find a shortcut other than the Ribbon for TitleCase – macro, toolbar icon, keystrokes, whatever. Thanks for your comment – I am clear on all of my Word posts that they were written for PC and might not work for Mac. I can only find any reference to using the Ribbon – so hopefully someone will come along who knows better, but that’s the only way I can find. Glad to be able to help and save you time! Thank you for your comment. Can you please confirm whether you’re using a PC or Mac and also what program you were using this in – Word or something else. Did you highlight the text and press Shift + F3 at the same time? Having said that, sometimes unfortunately it doesn’t work, especially if text is already heavily formatted. I want all words in small letters in me word what can I do? Shift +F3 is good option to case the change but there certain abbreviations which need to be Upper case within the paragraph, is there a way word highlight all the case errors and user can change whichever need correction. Or is there a tool/website exist which helps with the same. If you hold the Ctrl key down, you can highlight several sections of text using the mouse, leaving out anything where you don’t want to change the case. Once you’ve got the text you want to change highlighted, use Shift-F3 to change the case as normal, and only the highlighted text will change. 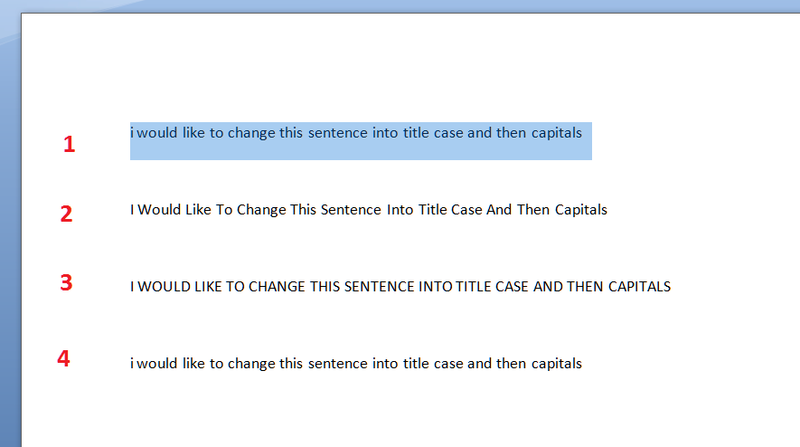 After years of finding I had typed in capitals then when I check the screen I find my mistake and have to re-type the text in normal text you…………….. have saved me time and most of all frustration. Unfortunately I can’t grab back the wasted minutes / hours, but ho, hum! I have a Surface Pro 3 and am using Windows 8. Shift +F3 doesn’t work to change case. Any suggestions? Thank you for your question – I’m afraid I have no experience with Surface Pros (or, indeed, Windows 8). I’ve had a search around and I can’t easily find an answer, either. I will leave your question here in the comments in case anyone else can help. Which version of Windows are you running on it? Oh, that’s really annoying. I wonder if it’s a Dell issue, and if you can change the audio volume stuff to another shortcut. Might be worth looking into it as it’s two Dells you have. thank you so much.. a God send!! Hope you are doing well on all of your endeavors. I’m afraid I can’t comment on (presumably Word on) your phone apps as that’s not an area I’m familiar with and it will depend on the operating system etc., sorry!